Mary Graf, right, received the WGVU “Cool Teacher” Award. 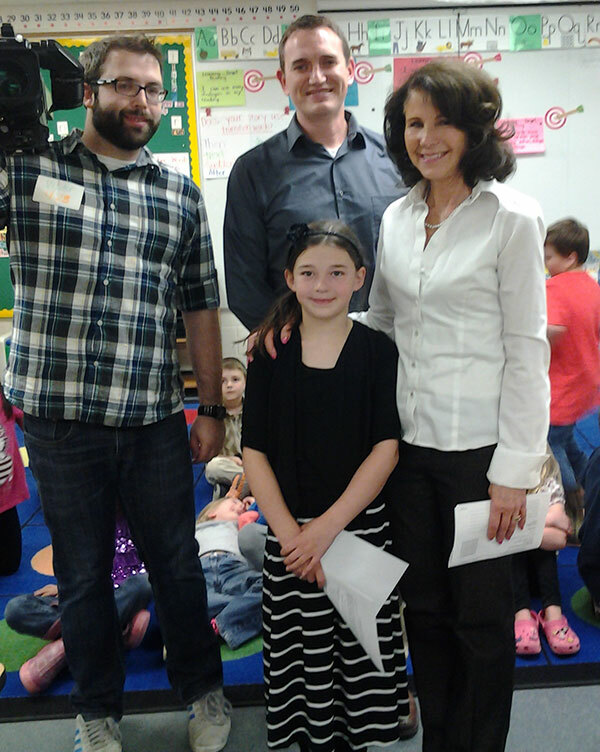 Mary Graf, a first grade teacher at Cedar Trails Elementary in Cedar Springs, was named the latest teacher to receive the WGVU “Cool Teacher” Award. 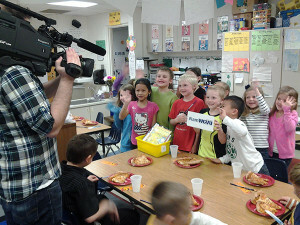 WGVU honored Graf and her class with a pizza party on Thursday, April 23, which also happened to be Graf’s birthday. 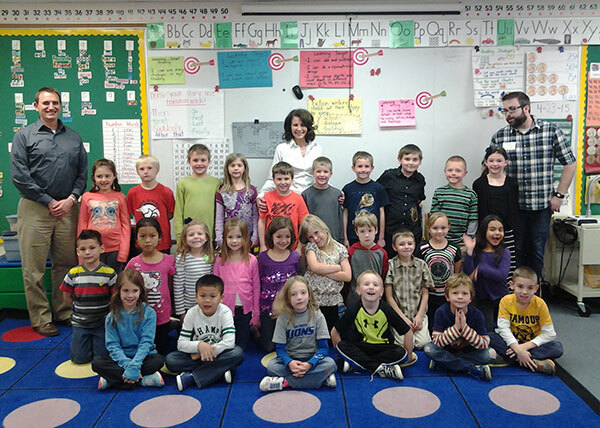 Graf has been teaching first graders for 37 of her 38 teaching years, all having been in Cedar Springs. 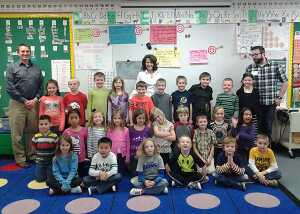 WGVU honored Graf and her class with a pizza party on Thursday, April 23. Gordon and WGVU photographer Zack Limiewski video-recorded the celebration and various activities of Graf interacting with classroom students. A twice-a-day airing of this recording will begin around mid-May on WGVU TV 35 and TV 52 as well as on the website WGVU.org. The “Cool Teacher Award” promotes the positive and good things that teachers are doing with our youth. This program is an example of WGVU’s mission to provide educational, informational, and entertaining programs and events to the West Michigan Community as a service of Grand Valley State University.